This list is a mashup of small artists expected to make it big in this new year and artists who are already popular and are only expected to get bigger (also, the order of the list means nothing). Alec Benjamin is a 24-year-old singer and songwriter from Phoenix, Arizona. He’s been releasing music since 2014 with his first release of “Paper Crown”. He first started to gain popularity when his song “I Built A Friend” was used by a dancer on America’s Got Talent. Recently Alessia Cara joined him for one of his new songs “Let Me Down Slowly”. APRE is a UK based band focused on creating a happy-go-lucky indie sound. They are made up of two guys who are new to the lifestyle and want to get more exposure. She’s a 20-year-old British singer, songwriter, and musician with high praises from various popular music groups and musicians. Bird has been gaining fame quickly after her EP in the summer of 2017, performing on many shows, including The Tonight Show with Jimmy Fallon. She has won a couple of awards as well, including one for upcoming talent. A trio from the UK gaining fame across Europe, selling out shows, and playing major venues. This would include the O2 Ritz, Manchester and The Garage, London. The indie pop band has not released many songs yet, but are still doing well with 3 million Spotify streams. This duo of Charlie Woods and Jake Mac are from the UK and have been writing together since the age of 14. Their music takes influence from The Beach Boys and Teenage Fanclub. They only have a little over 23,000 monthly listeners on Spotify. This North Carolina band with just under 4,000 followers on Instagram and six members recently released a new album. Their song “Sing Of The Moon” had over 4.5 million streams on Spotify alone. They classify themselves as “orchestral folk”. Scott Verrill sings and writes songs, co-runs a DIY fashion label, and on top of it all is growing his fan base. “Dive In” and “Horizon” are his most popular songs, but his latest single “Moonwalking” is quickly replacing them. His pop-based music takes inspiration from Vampire Weekend, especially in their song “Cape Cod Kwassa Kwassa”. Tessa Violet, previously meekakitty, is currently in the process of releasing an album, but she is releasing it one song at a time. So far she has released two songs, “Crush” and “Bad Ideas”. Violet used to make YouTube videos but quit. Her music contains a distinct sound of something similar to chill pop. This electro-pop trio has become popular after their song “Trampoline” was chosen for Apple’s latest MacBook Air campaign. The group is made up of lead singer Chelsea Lee and twin brother producers Max and Spencer Ernst. They recently released their second EP Melt. Ethan Barnett, Ten Tonnes, comes from a musical family, most notably his brother. His brother is George Ezra the singer and songwriter most known for his hit “Budapest”. Although they are brothers, their music sounds quite different. Ten Tonnes definitely offers a more pop feel than Ezra’s folk influence. This Australian singer and songwriter started to become known with his song “Be Alright” which has received a lot of radio play. His latest release is “7 Minutes”. Lewis has a staggering 145k followers on Instagram. This rising star’s songs are emotional but not overbearing. Ava Max is the daughter of two Albanian immigrants but was born in Wisconsin and raised in Virginia. Her song “Sweet but Psycho” has become very popular recently. She even performed it on the Late Late Show with James Corden. Max is now huge on Spotify and is being recognized by major music stars and appears on Billboard’s monthly series spotlighting a new artist making their way onto the charts. SHY Martin came onto the scene in 2016 as the featured artist and songwriter behind “The Ocean” by Mark Perry, which won Spotify Sweden’s prize for “Most Streamed Song of the Year”. She is most known for her amazing songwriting abilities having written many top hits for other artists. 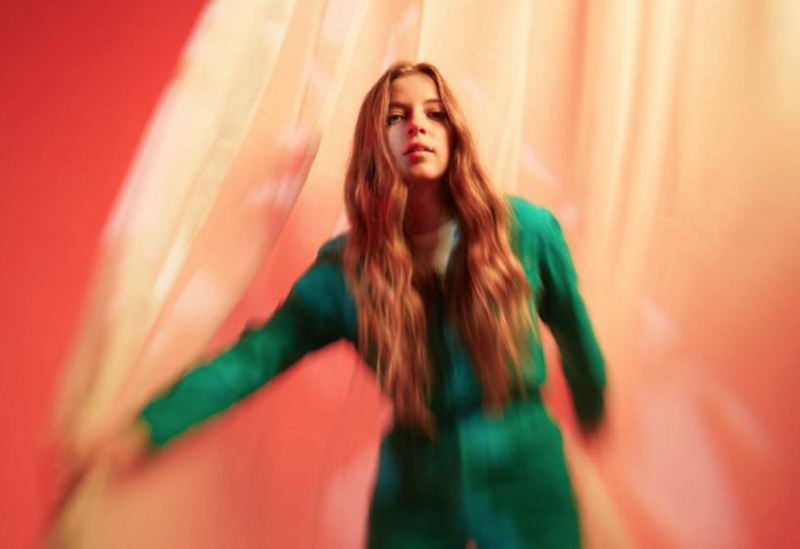 Since her EP release at the end of 2018, Martin has played at many music festivals where Post Malone, Cheat Codes, and Astrid S. were also performing. Her songs have now surpassed 100 million streams on Spotify. Sophie, Chris Hill, Bailey Stapledon, and Toby Holmes formed the band while in college. They describe themselves as “left-leaning pop”. Their debut EP is Adolescence and has done fairly well with some songs off the EP becoming quite popular. Sophie, the lead singer, has said that every song she writes is based on a personal experience of hers and is working to make music human again. This five-member band classifies their music as “melodic pop” and “contemporary pop, infused with psychedelia, dipped in naughties R’n’B nostalgia, with just a hint of disco flare”. The band’s music definitely reflects the music of a past time mixed with current influence. Overall, this band, although not very popular, will never disappoint when looking for some new, good music.